Communal violence is pervasive, continuous, and global. 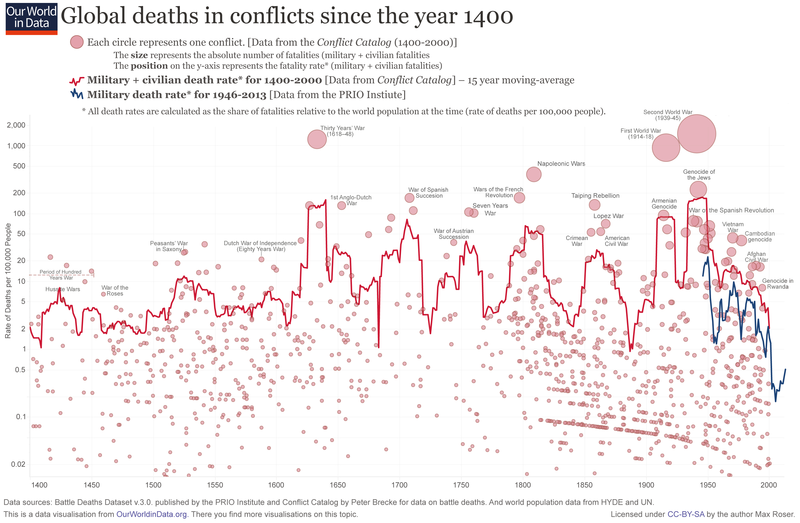 Killing between 55,000 and over 100,000 people each year (excluding non-communal homicide), violent conflict plagues the news with salient stories of death, fear, and destruction. As a result, this violence costs the world $14.3 trillion in damages and lost productivity (adjusted for Purchasing Power Parity) every year. Paradoxically, despite this huge price tag, only $15 billion is spent on peacebuilding and peacekeeping each year, while global military spending sits at $5.6 trillion. Judging by this resource allocation, it’s no surprise that we live in a world in which we are more prepared to wage war than promote peace. It’s for this reason that I believe violent conflict seems inevitable, even though it’s often quite solvable. All is not lost for the human race. 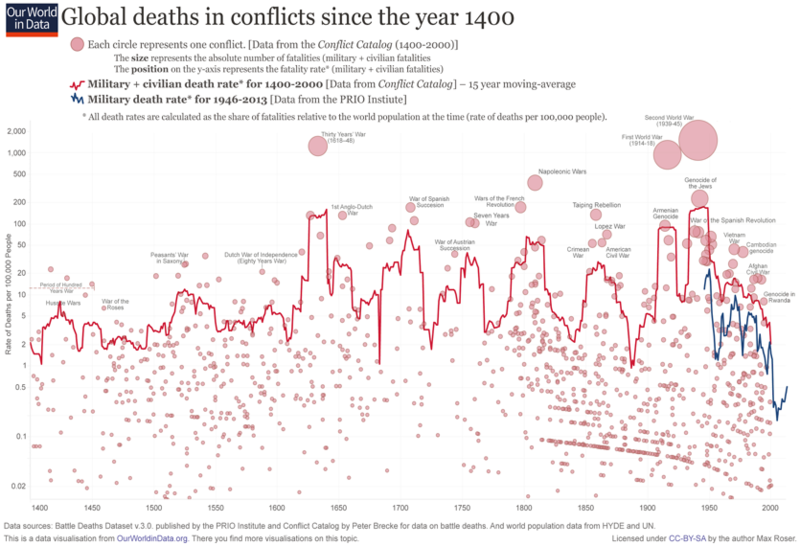 We do live in the most peaceful time in human history, in that you are least likely to die in war. But in comparison to progress made in medicine, education, and financial access, progress in peacebuilding has been glacial. While the answer may seem obvious: a lack of resources for peacebuilding met with an excess of military spending, it certainly warrants further inquiry. Why is investment so low in a problem that causes so much death and damage? I posit it is because of a lack of scientific innovation in the peacebuilding space. As a founder of a peacebuilding organization, I believe our field is ripe for innovation, and without it, our ability to measure impact is sorely lacking. With today’s best practices in peacebuilding, it is difficult to truly identify impact in even a binary sense, let alone have more sensitive measurements to know if peacebuilding interventions are leading to actual reductions in violent behaviour. This contrasts sharply with fields like public health and finance, where new research has created a wealth of knowledge. Using vaccines as a metaphor, they have become incredible investments for social good because of the detailed understanding of their implications, the impact they have, and how we can forecast outcomes of vaccination campaigns. In order to attract resources to peacebuilding, we need breakthrough research to answer these questions. I believe the answer lies in the field of behavioural research. Before we explore how behavioural research can aid in the quest to improve impact assessment in peacebuilding, it’s important to define what it is, and recognize the dramatic effect it has had in other fields. Many traditional fields of study, such as economics and psychology, were historically based on the notion that people make conscious, rational decisions, and then execute that decision as it serves their best interest. While helpful in developing theories with regards to supply, demand, labour, and other social phenomena, human behaviour rarely fits the models. Daniel Kahneman, a psychologist interested in decision-making, embarked on a series of studies with fellow researcher Amos Tversky, recorded in Kahneman’s book, Thinking Fast and Slow. He found bizarre deviations from the expected behaviours of people maximizing utility. Specifically, he found that people are overwhelmingly averse to loss and risk, and will make seemingly irrational decisions to avoid them. 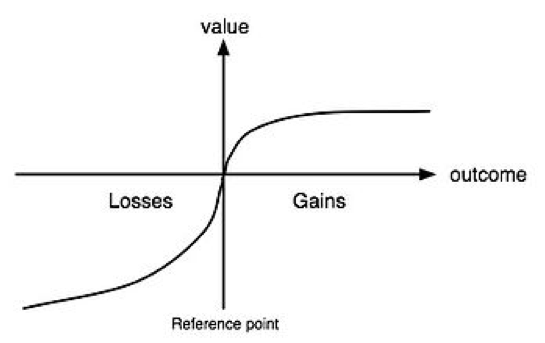 This tendency was so patternistic that he was able to use the data to develop Prospect Theory, which charts out, on average, the premium people are willing to pay to avoid loss and risk. This finding became the ground for behavioural economics, and through this research, other scientists like Dan Ariely and Richard Thaler identified numerous other cognitive biases, or patterns of predictably irrational behaviour, and the vast implications of such biases. While behavioural approaches have inspired innovative research in academic fields ranging from political theory to moral psychology, the impact has been most felt in real-world applications. For instance, researchers Eric Johnson and Dan Goldstein found that organ donation in European countries trended heavily on whether you had to “opt-in” to become a donor, versus “opt-out”. Rates of donation were just 12% in Germany (an “opt-in” country), and yet over 99% in France (“opt-out”). If citizens were rational, then we’d expect no difference between needing to opt in versus opt out for organ donation; but, clearly, the default option has a strong nudging affect, and the results of new “opt-out” policies are saving thousands of lives as a result of this finding. From marketing to medical practice, behavioural research is paving the way for a generation of innovations. The scientific backing behind peacebuilding today is primarily based on sociological understanding of identity politics. The unknown stranger can become a hated enemy, or a collaborative friend. Tribalism, nationalism, racism, and prejudice based on language and religion are heuristics by which we delineate “us” and “them”, particularly in times of great uncertainty and limited resources. The backbone of conflict prevention lies in Contact Theory, a sociological phenomenon identified by Gordon Allport in the 1950’s, which posits that positive contact between persons of “opposing” identities lowers prejudice between them (under certain conditions). It’s an intuitive idea: making a friend can change how you see their community. And peacebuilding theory has largely been unchanged, with subsequent research building from the idea of this sociological perspective. As a result, impact assessment in the peacebuilding space is largely built on self-reporting surveys by participants. Does UN peacebuilding need an overhaul? I believe the next breakthrough in peacebuilding initiatives will come from behavioural research. We know that what people say they’ll do and what they actually do have low correlation from behavioural research (making surveys alone relatively useless). And little research has been done on violent behaviour as a specific phenomenon. This makes sense as there’s little funding available in studying the space, and research is extremely difficult to conduct. Behavioural research into spending behaviour is easy to conduct – give real people real money in a real-world situation and track their spending. But behavioural research on violence will be extremely difficult to conduct: you can’t put two groups of people in different rooms and see who attacks one another. It’s unethical, and illegal. Thus, some heuristic, a proxy for real violence, would need to be identified. And there’s a second challenge. If indeed there is a predictably irrational pattern in violent behaviours, the phenomenon will need to be understood, accessible, and applicable to peacebuilding practitioners and organizations. Despite these challenges, I believe behavioural-based innovation in peacebuilding is not only possible, but absolutely necessary. Conduct behavioural research on Contact Theory, in comparison to a replicable metric. There are many hypotheses that can be tested in research, but taking the centerpiece of peacebuilding and determining if violent behaviour trends respond similarly to exposure is a great start. For example, behaviours could be compared to either survey data, or, better yet, network data (mobile or computer data), to find if there are correlative indicators that can be used in the field. A weighted survey could be developed from the research insight, which could then create a “propensity for violent behaviour” score. Whatever the new measurement tool is, it’s requisite for the next step. Gather data from peacebuilding initiatives by using the measurement tool before and after interventions. If the above can be done (and in good research we can’t expect the outcome we are looking for), then a network of peacebuilding organizations should use the tool to capture before and after violence indicators, as well as participant- specific data (e.g. age, marital status, employment status), and cohort data (contact hours, cohort size, a measure of diversity). Data should be analyzed for individual and cohort trends. On an individual level, data scientists can begin to identify what makes a person most likely to engage in violence, while on a group level, we can begin to spot trends in project efficacy based on specific parameters. This assumes there’s any signal in the noise from the data; but if there is, questions like, “who needs the intervention?” can be answered, as well as forecasts on how much of a reduction is expected in violent behaviour from project participants. Create a free online tool to enable peacebuilding organizations to forecast their own project outcomes. These findings could be coded into an easy-to-use, free platform, which any peacebuilding organization, funder, or government agency could use to forecast results as a benchmark, and eventually offer insights for project improvement. The result would be a tool that could standardize peacebuilding impact assessment while giving funders real detail on the efficacy of these projects. It would answer the five questions (like those answered by vaccine efforts), that would make peacebuilding a viable investment. This process I propose would be a multi-year endeavour, and, at each step, there are multiple ways it could fail. But, if successful, it would change, not just a sector, but the whole of society, in a world with dramatically less communal violence. The first step is getting the right people in the room. I’m eager to connect with behavioural researchers, peacebuilding practitioners, funding partners, and data scientists to make this a reality. The only way we won’t tell our grandchildren the same stories our grandparents told us of war and violence, is if we take bold steps now to change the way violence is countered. The time is now. An interesting, but myopic view of violence. Yes, Contact Theory might work with individual citizens who get out and make contact with people from other cultures. But individual citizens are not the ones who start wars. To really understand global violence, especially war, you need a class analysis, because it’s the oligarchical class — working strictly within their economic and political interests — that start wars. So, all the sociological mumbo jumbo in the world isn’t going to make a dent if we don’t pinpoint the actual class that is responsible for wars and violence. And, by their own interest gauge, they act very rational.